Charter Housing, which is part of the Seren Group, is working with the Welsh Government and local people to develop an innovative housing co-operative as part of the eagerly anticipated Loftus Garden Village in Newport – www.loftusgardenvillage.co.uk. Development of the co-operative is underway and by November 2015 the housing co-operative will be taking responsibility for 19 beautiful arts and craft style homes located in a single street on the garden village. 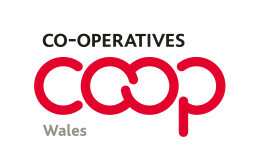 The Welsh Government has provided £650,000 towards the cost of building the homes and Charter Housing is assisting with the setting up of the co-operative. The vision is to build a mix of 1, 2, 3 & 4 bedroom flats and houses which will be available for share ownership. The co-operative own a small percentage of the homes. People buy a share in their own home and pay a rent on the remainder not owned by them or the Co-operative. This modern approach to co-operative living gives people the option of having as much community and privacy as they want plus the great advantage of lower monthly housing costs when compared to other share-ownership models. Charter Housing will support the setting up of the co-operative and assist members explore all sorts of innovative ways to create a safe and caring neighbourhood and to save more money on the cost of running their homes. Anyone interested in knowing more or wanting to register an interest in joining the housing co-operative can make contact with Jill Stringfellow via email jill.stringfellow@charterhousing.co.uk or phone 01633 678 514.